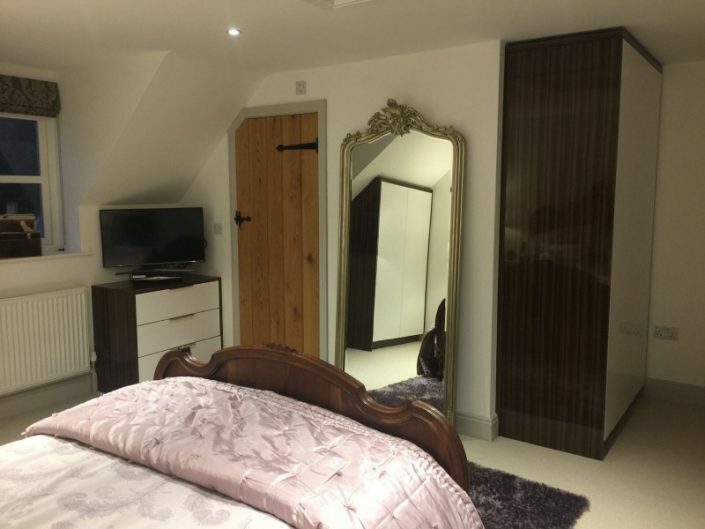 Whether you require a single headboard, or an entire suite of bedroom furniture, we at Newark Interiors design, build and supply deluxe, custom built bedroom furniture including wardrobes, sliding wardrobes, cabinets, sideboards and headboards. Our fitted bedrooms are carefully designed to your specification and we guarantee only to use the highest quality materials. Clever storage options are available which will utilise all of your available the space. We manufacture all doors and units to the shape and size of your room, with hundreds of designs, colours and styles to choose from, we ensure to have style that is perfect for you. 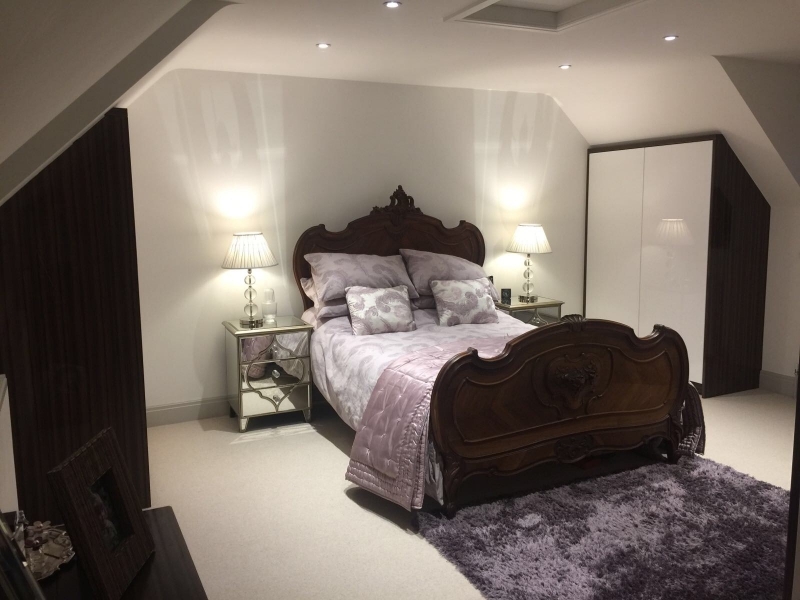 Newark Interiors can offer a range of bedrooms to suit all tastes, from a small child’s room where good looks and plenty of storage is required, to a luxury master suite. From a huge range of modern, contemporary and traditional designs to choose from, we have a bedroom design to suit all tastes and budgets. Our knowledgeable staff will be more than happy to provide advice on how to make the best use of your space and to design your exciting new room. Our in-house design team ensure all of your specifications are matched and will create you a stunning unique bedroom that sets yours apart from anyone else’s. 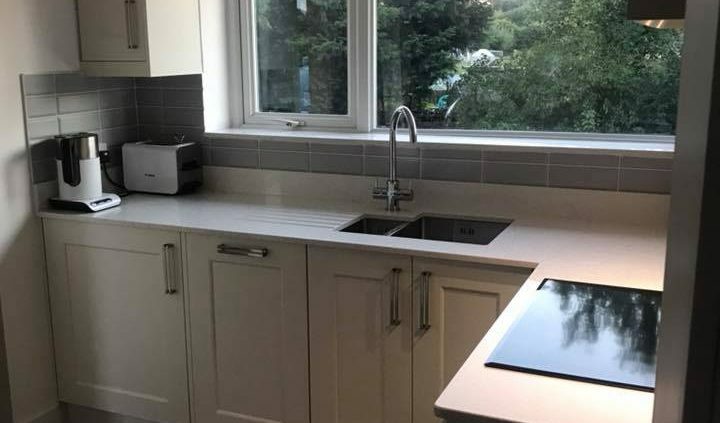 Following a visit to our well equipped showroom in Newark, a site survey is arranged where your requirements are discussed in your own home, as well as any small building alterations also being talked through. Computer generated images and plans are produced to help you visualise your finished room. Plans can be revised as many times as necessary and at every stage of this process a detailed costing is produced. From start to finish, we guarantee you will be 100% satisfied.